Dolphin Quest Oahu is located at the Kahala Hotel & Resort in Honolulu, Hawaii. Learn more about the world-class hotel and home to Dolphin Quest Oahu below! It first opened in 1964 in Honolulu, Hawaii, on the island of Oahu, next to the Waialae Country Club private golf course. Then known as the Kahala Hilton, the resort cost $12 million to build and was the first major resort to have air conditioning in all rooms. There are 364 spacious guest rooms and suites, multiple restaurants, and meeting facilities. The location features exotic gardens, the world-famous orchid staircase, an outdoor swimming pool, and an exclusive shopping center. Capitalizing on the hotel’s relatively removed location, it became known as a celebrity hideaway and the perfect location for discriminating world travelers. By 1967, it achieved a remarkable 90 percent occupancy rate and sealed its reputation as a watering hole for the extremely wealthy and hugely famous. 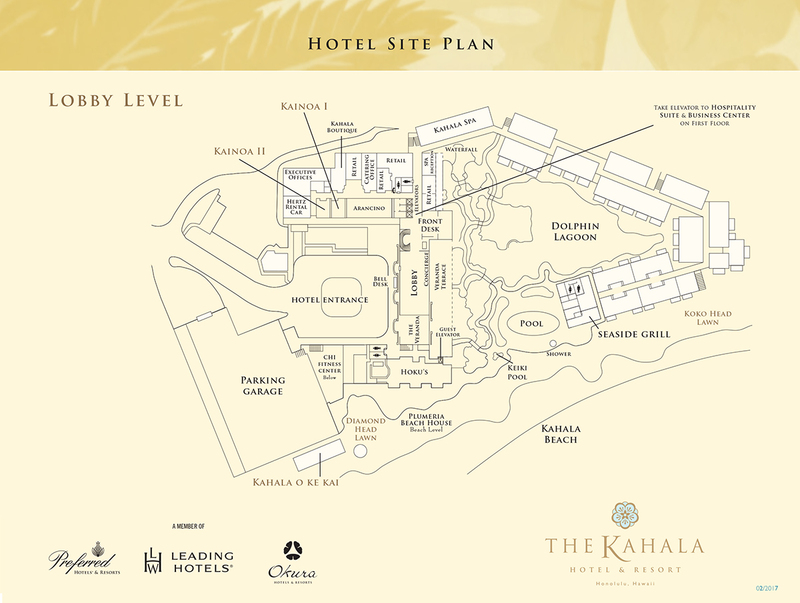 The Kahala also became the hotel for royalty, heads of state, and legends of the sporting, musical, and literary worlds. Despite its reputation for attracting the rich and famous, the resort also became a legendary gathering place for Honolulu’s local society. The resort has one of the largest rooms in Hawaii at more than 550 square feet, with his-and-her bathroom vanities and walk-in closets. Every U.S. president from Lyndon Johnson to George W. Bush has stayed at the resort. A beach bar was opened as the location for Rick’s Bar in the TV series Magnum P.I., and it is now the Kahala O Ke Kai, a beautiful oceanfront function room. Throughout the years, the Kahala has hosted 20th-century icons such as John Wayne and Frank Sinatra. They have housed musical legends such as The Who, Elton John, and Stevie Wonder. And welcomed dignitaries such as Queen Elizabeth, Emperor Akihito, and Empress Michiko of Japan. Also, they have hosted modern day A-listers such as Angelina Jolie, Nicolas Cage, Sean Penn, Drew Barrymore, Justin Timberlake, and more.